"I made $103,189 on my first bird-dog deal and it only took me 13 days to find the property. I made more in a couple of weeks of work than I made in the last 3 years at my job!" By Simply FINDING HOT PROPERTY DEALS! ...finally "cracking" the real estate code by actually getting into real estate with NO CASH and NO CREDIT. ...getting experience and becoming a real estate "mover and shaker" before having to take responsibility for even a small stitch of property. ...raking in five- and six-figures per hot real estate deal you find for your investor or investment group...from only doing a couple days worth of work! One of the newest and hottest real estate opportunities is becoming a bird-dog. FINDING Hot Property Deals for Investors! Sometimes it's not realistic for the shyest of people to walk into a deal trying to bend a seller and a broker to take on a "creative financing" or a no-money-down deal. After all, if either the seller or the listing broker shoots you the slightest look of awkwardness or criticism when you ask about "no money down," are you one to wilt into a corner and wish you could die and blow away? If you don't feel "right" about going into a deal where you are asking the seller for the down payment or coming to the table with barely 2-cents to rub together then you NEED A "PLAN B." Right now there is a huge need for people just like you to find properties for investors who are TOO BUSY to be locating properties on their own! 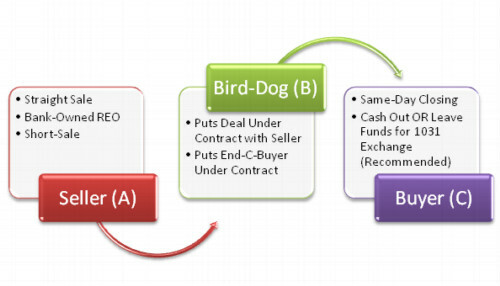 There is a huge need for "bird-dogs" who find lucrative cash flow property deals for investors. 2) "Flipping" the property to an "end" or "C" buyer (which I'll explain in a minute). How to Get a Finder's Fee of Up to 5% of the Final Purchase Price! The quick and easy way to get involved in this business is to be a "finder" for a specific and designated investor or investment group. The trick, obviously, is to "hook up" with an investor or investment group (or with many investors) and start locating properties that fit into your investor's criteria. Many investors are actively looking for under performing properties, REOs, and cash flowing properties in specific areas of the country. You would have to determine that by asking them directly, as each investor has a different set of criteria to follow. Most investors are just looking for SOLID cash flow properties! And they would be willing to pay up to 5% of the final purchase price after the close of escrow! That's up to $50,000 per $1,000,000! And since I STRONGLY RECOMMEND that you work with COMMERCIAL properties that average around $2,000,000 to $5,000,000, the finder's fee would range from $100,000 to $250,000 for ONE DEAL! "But Why Wouldn't These Investors Find These Properties On Their Own? Why Would They Pay Me BIG BUCKS To Find These Properties FOR Them?" They do look for properties on their own. But...they can't scour the entire country looking for deals unless they have a staff exceeding 100 personal assistants to look in every nook and cranny for find every deal available! This may be something you MAY NOT want to hear but there are many investors and investment groups in Asia, Europe, India, and in many other continents and countries looking to pick up American properties at basement-bottom prices while the gettin' is good (like right now)! Many of these foreign investors don't know how to determine a hot property or area from locations (like Detroit, for instance) that are NOT recommended. They want to entrust their investment decisions with someone who knows the United States and can guide them to making successful and profitable moves. They need YOU to help them make these critical profit decisions by helping them find profitable property deals here in the United States! "What Types of Properties are Investors Looking For?" Investors are mainly looking for a deal on the residential-commercial (apartment building) or commercial (retail strip mall, industrial/warehouse, etc.) side. These huge investors are mostly NOT looking to gather up thousands of single-family homes. Because multi-millionaire investors don't mess around with a bunch of tiny single-family homes. They pick up apartment buildings, office buildings, retail strip malls, industrial/warehouse space, "big box" buildings, gas station properties and many other types of commercial properties. This is where all the money is...in PASSIVE INCOME CASH FLOW! And you get that by picking up commercial buildings...not a bunch of rinky-dinky houses! This means that each property will be WELL OVER $1,000,000 in most cases (or about 98% of the time). And generally larger investment groups are looking for properties that are $15,000,000 or higher! One of the largest property deals I was part of recently with my investor partners was a property that was $129 million! Can you imagine getting a 5% "finder's fee" on that deal? That adds up to be $6,450,000! It's almost like winning the state lottery! Is it realistic to think that you will get millions of dollars as a finder's fee per deal? No, it's not. Generally for larger property purchases your fee will be around 2% or 3%. Still, on the "low" side of 2%, the fee would have been $2,580,000. And it's still like winning the lottery! Now, properties that are $129 million are far and few between. The "average" commercial property that a smaller investor is seeking is anywhere from $1 million to $4 million. Most larger investment companies are seeking deals around $15 million and higher. When dealing with apartment buildings, many will be below $10 million. When dealing with other commercial buildings, you can easily see asking prices that are above $15 million, in most cases! "Much Easier to Do Than I Thought!" "I thought this would be too hard for me but it wasn't hard at all once I got the hang of it. Finding properties using a tool like LoopNet.com makes the searches so easy that you can do it from a laptop sitting in bed. I did exactly that, finding properties in bed after recovering from knee-replacement surgery for several weeks. Without ever leaving my house I was able to locate 4 bank-owned properties, call the brokers on the phone, and initiate a bank take-over negotiation. Only 1 of the 4 deals actually ended up closing escrow but having only been at this for 3 1/2 weeks and filling up dead time anyway, I was able to get a small referral fee of $45,298 after the property closed escrow. I made more being 'bed-ridden' than I had the whole year before at my job." "How Do I Make Sure I Get PAID? What If I Find a Property Deal and the Investor RIPS ME OFF By Stealing the Deal from Me?" I have an IRON-CLAD contract agreement for you to make sure you ALWAYS get paid on your property deals. If you don't, it would be a SLAM DUNK in court to sue for the money and quickly win the amount that is due to you. Since investors know they will lose in court, many won't bother trying to steal anything from you as long as there is a written contract in place. Make sure you don't reveal the address of the property UNTIL you have it under contract. Donot reveal anything more than the STATE in which the property is located (since you will have to reveal this basic information otherwise the deal may be rejected based on possibly being in an area they don't want to invest in). Where do you get this "iron-clad" contract? It's located in the complete system that I will be telling you about in one minute! After All, Aren't I Acting As a Real Estate Agent and I'll Need a Real Estate License for This?" Each state in the U.S. varies greatly in their real estate laws, rules, and regulations. I am not going to pretend like I know everything about each state's individual real estate laws. As long as you are acting as an "employee" for your investor or investment group, you will not need a license to be a bird-dog. 1) I have an assistant in my office named Cindy who regularly talks to brokers and sellers on my behalf. 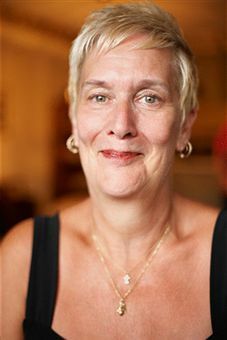 2) As my employee Cindy does not need a real estate license to talk about deals (or even help with the negotiation aspects) because she is "part" of my company as an employee. If you are going to choose OPTION A as a bird-dog (and getting a finder's or referral fee for transactions) then you need to make sure that that your investor or investment group gives you an annual 1099 as your tax-paying document when you file your taxes on April 15th. Because this will unofficially put you under their "payroll" as an unofficial employee of their company and disallow you from needing a real estate license to find property deals for your "employer." It is very important to make sure you are 1099-ed otherwise you could need a real estate license in each state you choose to conduct business. Because you will be finding properties all over the country, it's not realistic to have dozens of real estate licenses for each state you frequently do business in. Why Settle for Up to 5% of the Final Purchase Price When You Can Make MUCH MORE MONEY Doing a"Double Close" with Your Same Investor?! Getting a finder's fee or referral fee of up to 5% of the final purchase price is all well and good! You can make MORE money using a different method. Which method am I referring to? 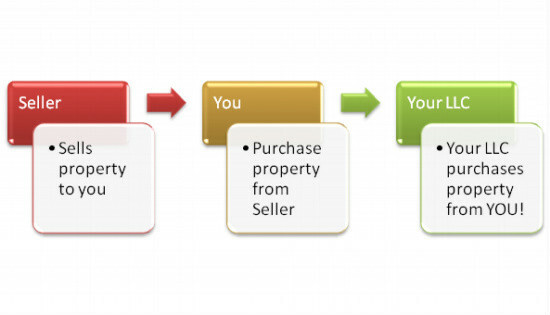 You become the "middleman" between the Seller (A) and the Buyer (C). You are the Bird-Dog (B). Step 1: Find a huge potential cash flow property. This can be a short-sale, bank-owned REO, or a straight sale. You are looking for residential-commercial (apartment houses) and commercial properties. I recommend sticking with the apartment buildings because those types of investments are super hot with investors right now. Step 3: Lock up the property with the seller with an offer. This will DISALLOW anyone else from coming in and "swooping" down on the property you as long as you can close escrow within an agreed time frame (usually not exceeding 90 or 120 days). Even if you present the property deal with an exact address on it to your investor, he or she CANNOT steal it from you since you already have it under contract with the seller or bank! Step 4: Put together a strong marketing proposal (and I show you how to do it; it's very simple). "Sell" the property to your investor. Get him or her drooling over the current and future potential of the deal; lay it into them about how much money they stand to LOSE if they DON'T do the deal! It's very easy to get any investor salivating over a hot cash flowing property, especially by using my CFE software that does all the "numbers" work for you including getting you a "proforma" of future property cash flow potential! Step 5: Get the documents needed for the transactional funding source. They will need to see documentation proving that you have a legitimate sale on your hands. This includes getting the contract that you have with the Buyer and validating that they have the funds to purchase the property. The transactional funder will review the proof of funds, pre-approval letter supplied from the bank, and other documents showing that your buyer has the ability and intent to purchase the property. 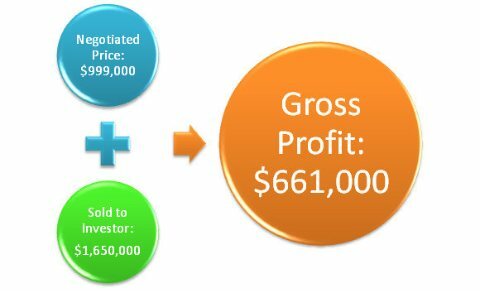 Step 6: The transactional funder will put the money into escrow the moment the Buyer's funds are deposited into escrow. There will be a simultaneous close. Your "purchase" between you and the Seller will happen and then, shortly thereafter, the "purchase" between you and the "end" Buyer happens within a few moments. These transactions or "double closes" take place within one business day. Step 7: Collect your money! Choose between whether to take a check from escrow or leave it and do a 1031 Exchange(recommended). By doing a 1031, you are "leaving" the money for your own personal investment property purchase so that you don't have to pay capital gains taxes (which is at the current 25% rip-off rate). You Are "Pre-Approved" for an ALL CASH Transaction! This is NOT a loan. When dealing with a "transactional funder," you are dealing with a company that needs to make sure that your "end-buyer" has full documentation to purchase the property (which can include loan pre-approval and/or proof of funds). Once your investor can verify they have the ability to make the purchase, the transactional funder uses "wet" funds to help you close the deal. This means that you don't need credit or your own money. There is no income or job verification. There is no need for you to even provide a social security number at any point in time. This means that when you make an offer on a property, it's an ALL CASH offer. No need for "proof of funds" or those silly management resumes that some banks ask for. You are coming in as an all cash buyer which means you can negotiate on the seller's asking price with FULL CONFIDENCE and MAXIMUM LEVERAGE. "What is an Example of What Can Be Made in a Single Transaction?" "I tell people that if I can pull this off that anybody can. I do have a college degree but was never able to get more than a $32,000 a year job. I know real estate is where I can make money and it's always been a dream of mine to be a successful millionaire real estate investor. Bird-dogging has definitely helped give me the leg up that I needed to get my real estate investing business rolling and I give all the credit to Monica Main." Larry, one of our bird-dogs, found a 58-unit apartment building in Georgia where it was a bank-owned REO with a 69% occupancy. Surrounding properties in the area of the same size in the neighborhood of this one property were selling for about $40,000 per unit on the high side meaning that the building would technically be worth about $2.3 million when the occupancy is around 95%. 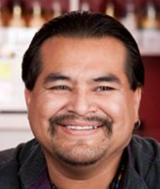 Since it was bank-owned by a smaller lending institution, Larry was able to get the property for $999,000 since he was walking into the deal as an ALL CASH BUYER (which the bank LOVES on REO properties; this allows them to take the "toxic debt" deal directly off their books completely). Remember, in order to turn around and "flip" the deal, Larry had to have an investor or investment group lined up who was looking for these types of properties. Since the occupancy level is so low on this REO deal, the investor on the "end" would have had to either get bank-direct funding (through the bank holding title to the REO) or come in with all cash since no conventional funding source will fund on a property below an 85% occupancy. Larry was working with an international investment group from Ireland who was actively looking for REO properties on the east coast and was willing to put in 100% cash on their end. Remember what I said about the average property in that area going for about $2.3 million at a 95% occupancy? This means that the investor knew (based on the marketing plan presented by the bird-dog) that they were getting a deal by purchasing this property from Larry for $1,650,000 (instead of $2.3 million) so it was a steal for them! *This is an example based on one real-life case study. Results will vary from one individual to another. Larry was smart (based on my stern recommendation) that he take his $528,000 in profits and put it into another property through what's called a 1031 Exchange to avoid having to pay capital gains taxes (at the current 25% rate). If he chose to pay the capital gains, he would have walked away with $396,000. He would have had to pay the IRS $132,000. And that's a lot of money to waste! Why give the IRS that kind of money when you can REINVEST IT for MORE PROFITS? Larry took his $661,000 profit and avoided paying capital gains taxes on his property deal by putting 25% down on his deal, paid for appraisals and other costs, and put the remaining amount of money into his property that he purchased for $1,900,000. Now Larry has his own property. Larry ended up doing one more bird-dog deal and didn't net as much as his first deal. He only netted $236,000 but, again, he used the money and put it into another property deal to save on capital gains taxes while building his net worth! Right now Larry is working on his third property deal but not as a bird-dog. He is borrowing the equity of 25% (from his down payment, remember?) for a down payment on another building that is $2.1 million. "I want to start focusing on my own property deals. I don't want to find property for other people anymore unless it's a really big property that's over $5 million. I'd rather keep focusing on building my own real estate business than giving all the cherry deals to investors who are going to be getting rich off of them instead of me. I'm trying to rope in as many assets as I can since I'm not getting any younger, I have 2 kids in high school, and I want to be able to give something to them as a profit-producing cash flow when I pass on." Your Success Hinges on Finding Investors! You need investors to make either of the above plans work. There are a few secret methods in my course that will reveal all of the details on how to find these investors. It's quite easy and my secrets are so sensitive that I'm not going to reveal them here. It's in my course but I do show you how to find these investors. And, If You Can't Find an Investor (Even Though You WILL If You Follow My Instructions) THEN FLIP THE PROPERTY TO YOURSELF! How can you flip a property to yourself? One important element to understand is that you CANNOT be on your own LLC until AFTER the close of escrow! No exceptions! What you are looking for to start your LLC to purchase the property for you would be someone with GOOD CREDIT who can help get the conventional funding needed for the deal. Once you close escrow, you would then be able to join the property on the LLC as a 50% partner while your good credit partner stays on the LLC as the other 50% partner. If you are getting a property well below appraised value, why pass up an opportunity to get the cash out? Especially if you have a business partner, family member, or friend who has a FICO score of 680 or above (with no recent mortgage lates, no foreclosures, and no bankruptcies within 5 years)? 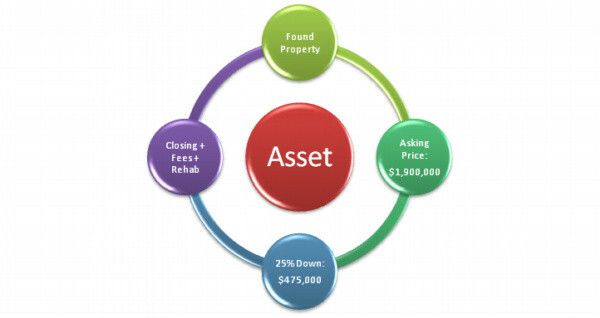 Why pass an opportunity to become the OWNER of the property and have it become YOUR investment? If you have a good credit partner, you would be able to get the property conventionally funded through one of my main brokers (in my course materials) at an 85% LTV. So, he would be able to get funding for $850,000 on the $1,000,000 asking price. The remaining balance of $150,000 plus fees would be through DPA (down payment assistance) which would be paid back at closing. Your good credit partner would only have to furnish the good credit but NO MONEY DOWN to make this work! Do you see how you can become the owner of a property without having to pass all the good cash flowing deals off to investors and investment groups? Why let all the Big Guys get all the lucrative deals all the time when you can get your piece of the pie, too?! "I Thought Flipping Was Illegal!" I think "flipping" had gotten some undeserved bad press in the past decade or so by a handful of people who did some unethical and ultimately illegal things with real estate deals. DEFINITION OF ILLEGAL FLIPPING: Illegal flipping has to do with several people (seller, appraiser, and lender among others) who take an artificially inflated property that is next to worthless and sell it for huge profits. 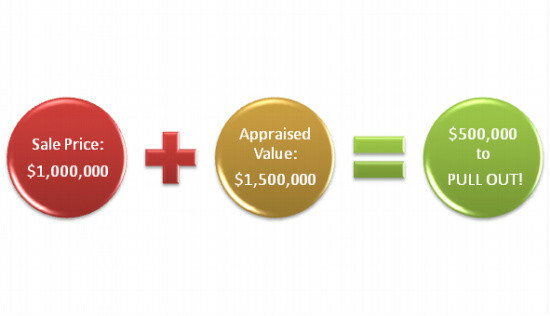 The appraiser would have to be part of the illegal and unethical flipping by giving the property a false value in an effort to inflate the value of an otherwise worthless property. Flipping is NOT what you may think it is. It's a matter of buying and selling a property which is legal in most states. However, in some states like Texas, you cannot "flip" a property using the Plan B method because they require that you hang onto a purchased property for 12 months before reselling it to another individual. This is called "seasoning." For bird-dogging deals in Texas, you would have to stick with Plan A where you would get a referral or finder's fee for deals there since you wouldn't be able to do the "double-close" type of transaction. Also, some lenders like Fannie Mae (or HUD/FHA properties) put a "deed restriction" on the resale of a property and make you hold the property for a minimum of 90 days before you can resell the property. Since we are dealing with commercial properties, Fannie Mae won't be in the picture the majority of the time to need to worry about this flipping restriction. Don't worry about the bad press about flipping being illegal. There is NOTHING illegal about buying and immediately selling a property to another buyer unless you are unethically and illegally inflating the price using a bogus appraiser. Why Commercial Bird-Dogging Is the HOTTEST and Most Profitable "Real Estate" Opportunity Out There! If you are going to make money...and I mean BIG MONEY...you need to stick with COMMERCIAL properties. Remember, investors who do this for business aren't interested in picking up tons of single-family homes. In fact, no investor that I personally know of that is a multi-millionaire or multi-billionaire messes around with single-family homes at all! Plus, it would take you FOREVER to make any kind of decent money if you are trying to flip a lot of single family homes. The average single family home in the Unites States is about $120,000. You wouldn't get a good bird-dogging referral fee or "flip" profit on a home that small after all fees and closing costs. However, the average commercial property is SEVERAL MILLION DOLLARS. 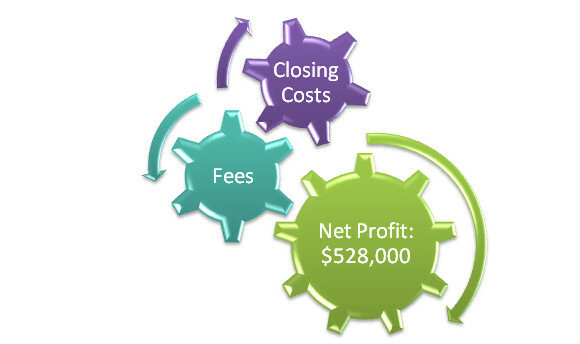 This means that your fee and/or flip profit potential is UNLIMITED per deal! Closing on a single-family home vs. an office building takes relatively the same amount of work and yet why bother with a $120,000 single family home for PENNIES when you can tackle the office building and make so much more money?? It just doesn't make any sense! If you're serious about doing this, you are going to be working with commercial properties ONLY. No single-family homes allowed! Investors are only interested in commercial properties because that is where all the money is. Now that our economy is in the dumps, many of these properties are WAY BELOW appraised value not including those that are bank-owned REOs that you can get for 50% of appraised value in some cases! The sky is the limit in the amount of money you can make from these incredibly priced properties! Before There is Too Much Competition! My course is a NEWLY RELEASED 2018 VERSION and no one else talks about commercial bird-dogging out there. That means right now, if you get started, you won't have any competition. I don't make any promises as to what the competition will look like next year...or the year after! If you get started now, get your first couple of bird-dogging deals in the pocket, and start using your profits for your own real estate deals, you won't have to worry about the competition come next year or the year after. You'll already be a successful, hugely profiting real estate investor with your own monthly cash flowing properties by then! You can get started with my unique, newly released Bird-Dogging Cash Flow System before you get a lick of competition. Hopefully you won't let this HOT and time-sensitive information sit on a shelf while the competition floods the market. I only want those who want to jump on this opportunity NOW to get involved in this. Bird-Dogging Bonanza MANUAL (2018): This chock-full, power-packed manual will show you every step you need to take to be a successful, profitable commercial bird-dog including how to avoid ALL of the pitfalls that can come your way! Bird-Dogging Million-Dollar Resource Directory (2018): This incredible directory includes all of the specialized contacts that you will need in order to ensure your success as a bird-dog including transactional funding sources. PLUS...this INCLUDES the Bird-Dog OPPORTUNITY CARD so you can do BIRD-DOG DEALS with our investors! 1-Hour Audio Seminar: Step-by-step audio seminar showing you how to choose which bird-dogging "plan" to consider (referral/finder's fee or "flipping"), how to find properties, how to find investors for your deals, and how to put together a marketing/business proposal to get any investor salivating at the mouth. 1-Hour Video Training: Discover how profitable bird-dogging has changed over the past couple of years and how to use the latest strategies in bird-dogging to make a killing in 2018 and beyond. Yes, A LOT has changed. These videos will show you WHAT has changed and how to profit TODAY as a bird-dog. Opportunity to Bird-Dog for Both Myself AND My Investors: Unlike the download version of the course (which isn't the prior version, by the way) you'll get to bird-dog directly for my investors. I've had a slew of highly successful bird-dog students from both my last seminar events but, as you know, that was ONLY for those who came to the events. I'm opening up this bird-dog opportunity with my other investor partners that I have so that you can bird-dog for them instead of having to find your own investors!! Bird-Dogging Forms, Templates and Sample Plans: All the forms you need as a commercial bird-dog including the exact referral/finder's fee agreement form you will ALWAYS need for Plan A deals to make sure you get paid (and never get ripped off). These forms are iron-clad and stand up in a court of law! Get the entire physical course shipped to your door step for a low cost of only $997 $797 if you order RIGHT NOW! Unsatisfied? (I doubt you will be.) If you are unsatisfied, get your money back! It's that easy. Go through all of the course materials. If you don't like any of the elements presented, ask for a full refund. 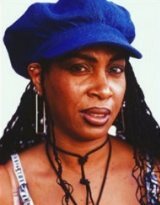 We're here from 9am to 5pm Pacific Time, Monday through Friday at (661) 295-5050. Give us a call if you have questions. We are here to help you! The Crossroads: Decide Whether to Take the First Step to Become Financially Free...Or Not! I can't make life's most critical decisions for you. You have to do that on your own. My only job here is to be clear about how this can potentially change your life and then you need to make a decision for yourself. This isn't for everyone. It's not for people who are looking for a get-rich-overnight type of "opportunity" since those really don't exist anyway. It's not for lazy people who are looking for someone to mail them a check for doing nothing. And this is definitely not for negative nay-sayers who think it's too good to be true. If you're one of those, you'll never have the ability to see any type of opportunity, even if it slaps you squarely in the back of the head. If you think it's too good to be true to make five- or six-figures on a commercial bird-dogging deal...you are too negative and you are sitting around being critical about something while the motivated doers in the world are making tons of money doing this RIGHT NOW! 1) Real estate always has and always will be a strong and solid vehicle for building wealth. If you've always wanted to get started as a real estate investor but don't have the cash down for deals and/or feel you lack the confidence because of inexperience, being a bird-dog will help you get your "foot in the door" for a long and prosperous life as a financially free real estate investor. 2) If you think that this opportunity may not be for you then consider what other options there are. I can tell you from the experiences I have with my real estate investing students that many have lost tens (or hundreds) of thousands of dollars on get-rich-quick schemes like MLM or network marketing, envelope stuffing, and many late night infomercial scams that don't have a chance in hell in making anyone money...except for the shysters who offer the schemes to being with! This is a solid, bona-fide opportunity that can make you money...but only if you apply yourself. There is no way I can "guarantee" your success because you may purchase this course, shove it in a desk drawer, and never do anything with it. And how can I possibly guarantee your success if you choose to do nothing with my highly-guarded, incredibly powerful success secrets? That's right! I can't. But you can guarantee your own success by choosing to follow my simple, easy-to-follow, step-by-step success system. And you can choose to start RIGHT NOW! Or you can choose to do nothing and continue living your life the way it is, experiencing financial lack, and wondering how you are going to survive. You can't make any changes in your life until you start doing something different. You can choose to start doing something different right now. Again, if you have any questions, shoot us an email or call us at (661) 295-5050 (Monday through Friday from 9AM to 5PM Pacific Time). P.S. It's time to make a decision. Untold fortunes are being made by doing this. This opportunity will not last forever. It's only good for possibly a good few years and that's it. Once the market comes back, this opportunity will be null and void. Get in now when you can! Get a HUGE DISCOUNT on the New Bird-Dog System! Get the Bird-Dog Opportunity Cash Flow System (Physical Course) for a STEAL! Bird-Dogging Bonanza MANUAL (2018):� This chock-full, power-packed manual will show you every step you need to take to be a successful, profitable commercial bird-dog including how to avoid ALL of the pitfalls that can come your way! Bird-Dogging Million-Dollar Resource Directory (2018):� This incredible directory includes all of the specialized contacts that you will need in order to ensure your success as a bird-dog including transactional funding sources. 1-Hour Audio Seminar:� Step-by-step audio seminar showing you how to choose which bird-dogging "plan" to consider (referral/finder's fee or "flipping"), how to find properties, how to find investors for your deals, and how to put together a marketing/business proposal to get any investor salivating at the mouth. 2-Hour Video Training: �So much has changed with bird-dogging over the past couple of years. �This video series will show you EXACTLY what has changed and how to gain a market advantage as a profitable Bird-Dog in 2016 and beyond! 90-Minute Interview with Transactional Funder Tom with Transcripts:� This powerful interview will tell you exactly what to do as a new bird-dog by the "horse's mouth," a successful transactional funder who you will also get direct access to for your bird-dog deals.� He also sheds light on how to purchase the property as the "end" buyer through your own LLC.� This is the only transactional funder that has ever spilled the beans on this secret and he is the only one that will personally assist you on your deals with this LLC method. Audio Transcripts:� Get a written transcript of the entire audio presentation so you may take notes as you listen to the powerful audio seminar.� You can even highlight key points without actually taking knows of the audio seminar since it's all been done for you! Commercial Bird-Dogging Forms:� All the forms you need as a commercial bird-dog including the exact referral/finder's fee agreement form you will ALWAYS need for Plan A deals to make sure you get paid (and never get ripped off).� These forms are iron-clad and stand up in a court of law! FREE BONUS:� One-Year of Email Consulting:� This is INVALUABLE because you can use my expertise in helping you get your commercial bird-dogging business off the ground by emailing me your questions.� This is a FREE BONUS when purchasing this complete commercial bird-dogging course. ADD the Bird-Dog OPPORTUNITY�to your order to get that extra advantage so that you can bird-dog deals with our investor partners instead of having to find your own investors!! �Also, if you want to qualify to do bird-dogging deals with Monica Main (and have her pay you up to 5% of the final purchase price) then choose this special option!